Unplugging isn't easy - so let's make it beautiful. As long as there have been workweeks, there have been sighs of relief on Friday evening. Think of Friday night as a time to press pause, and the FRIDAY App for the iPhone as a very shiny pause button. 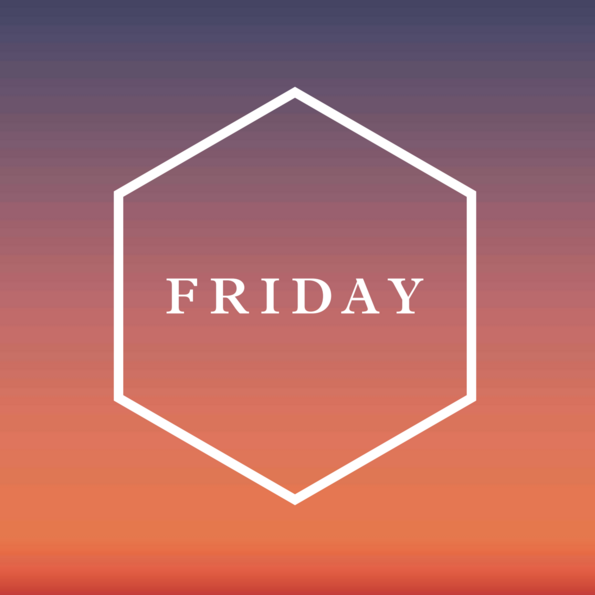 Each Friday, just before sunset, get a reminder from the FRIDAY App that it’s time to slow down. Read short stories and questions to light a few sparks and stoke some conversations. “Sunset” your phone into a blissful twilight to help you unplug. Not ready to disconnect? Reawaken it anytime. Your time belongs to you. Hear more from FRIDAY in your inbox.